At Bradford Print Shoppe, we want to help make sure your business gets noticed. It's important that your ideas are represented; customers are encouraged to visit the shop to review the colours and lettering for their sign board. Full colour signage is also available and we would be pleased to create the design if you request it. 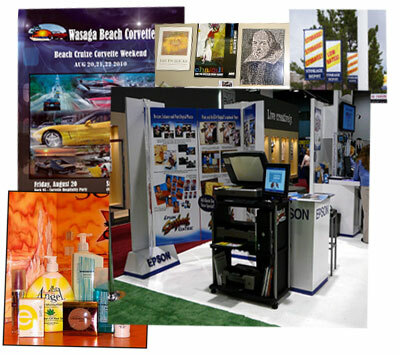 We are also able to make pull-up banners for trade show and presentations. Full colour wide format posters are also available.